Orruks are da best! Now they're here to prove it to you with their new Grand Alliance Destruction book along with the Ogrors. How does this book hold up and compare to it's brother in size and price, the Death Grand Alliance? 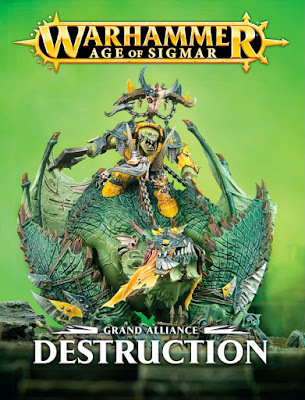 Destruction is the fourth and final Grand Alliance book to come out, finally wrapping up printed warscrolls for all of the units GW intends to move forward with in AoS for the immediate future. The first thing I want to look at is what has been cut from the book. 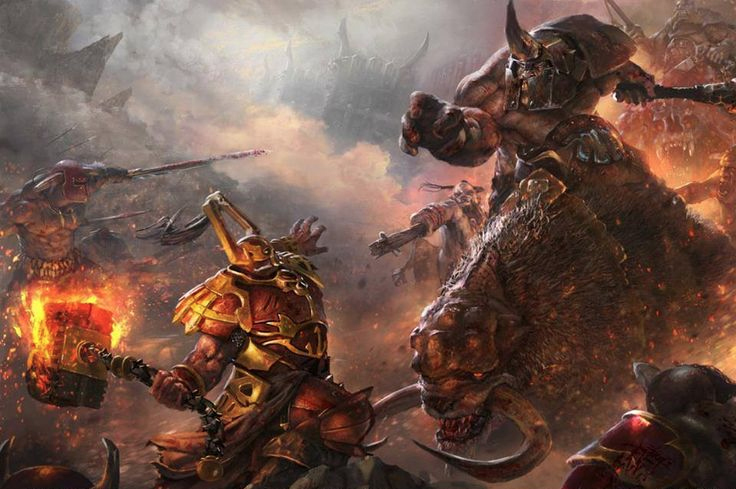 Chaos got away with only losing a few models, while Death lost the entire Tomb King range, and Order lost a whole lot more. In comparison, the Destruction faction got away pretty easy, only losing a small hand full of models, the vast majority of which were named characters. Grimgor is gone now, as is his model, where a lot of other special characters just became generic characters, such as Azhag and Skarsnik. Already we are starting out pretty good. The book itself only costs $16.50, which is pretty much a steal. If you have any Destruction models, or just want to read up on the faction a bit I see no reason not to pick it up. It's a similar size to the Death book, but slightly bigger. The first thing that stood out to me is that it felt like there was less lore then the Death book. With Death we saw a lot of example forces, which were fun to read because it helped build up the backstory a bit. I think the main reason for this is that there is just more warscrolls they had to fit in for Destruction. It's not a huge loss, but I always love reading the lore, so I could have done with a bit more. The presentation is top notch, with everything slickly laid out and all of the model photography done very well. There is a bit of new artwork in here as well, but mostly stuff either from past AoS books, or from past editions of Warhammer. The other glaring omission from the book is the complete lack of Battalions. Chaos and Order both had a bunch, while Death only had the one for the Deathrattle legions. Destruction is left with nothing though, not even one of the Ironjawz ones that just came out. This may have been a space issue as well, but I would have really liked to at least have seen one Battalion. They are a lot of fun, characterful, and help give hobbyists something to build towards. There are still the old ones in the App and in the Compendiums, but it would have been nice to get something new, or at least a reprint of one of those since some of the units have changed slightly. 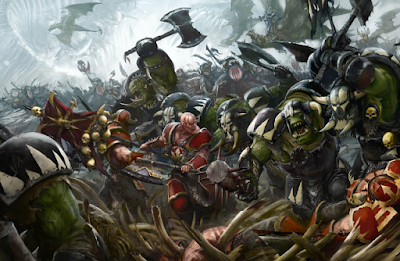 The first faction is the Greenskins, basically your standard Orruks. Anything that was Orc and not heavily armored is in here. Azhag is now the basic Boss on a Wyvern, and Arrer' Boys have been rolled into the basic Orruk warscroll, with bows now a weapon option, but besides that it's pretty much what you would expect. Next we have the Ironjawz, which I'm sure everyone is familiar with at this point. Last but not least for the Orruks is the Bonesplitterz, which is all of the Savage Orcs. The lore for all three factions is short but effective, really getting across the sense of how brutal the Orruks are, with the Ironjawz being the biggest and toughest of them all. After that we start moving into the different goblin factions, now called Grots. We have the Gitmob Grots, regular goblins, Moonclan Grots, Night Goblins, and the Spiderfang Grots, the spider riding/forest goblins. Skarsnik is now a weapon load out option for the basic Moonclan Grot Boss, which is nice since he's a beautiful model and I'm glad it stuck around. Everything else is about what you would expect from those factions. A few rules have been tweaked here or there, with all of the "silly" rules now gone. 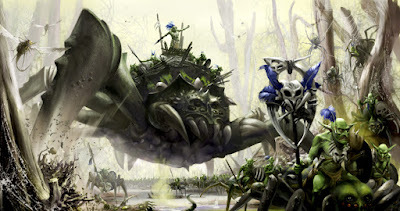 I really liked the lore on the Moonclan Grots which described their mythology. In the distant past Gorkamorka took a bite out of one of the moons, creating the Bad Moon that we are familiar with from the Night Goblins, but a bunch of his teeth fell out, creating the mountains in the realms that the Moonclan Grots now live in. It's a really fun story, and feels completely believable as a mythology. The giants and trolls have each been given their own factions. The giant is the sole warscroll in the Aleguzzler Gargants faction, while the Troggoth faction has all three types of trolls. It would have been really easy for them to just roll all of the Trolls up into one warscroll, especially since their rules are all very similar, so it's nice to see that GW kept their individuality. 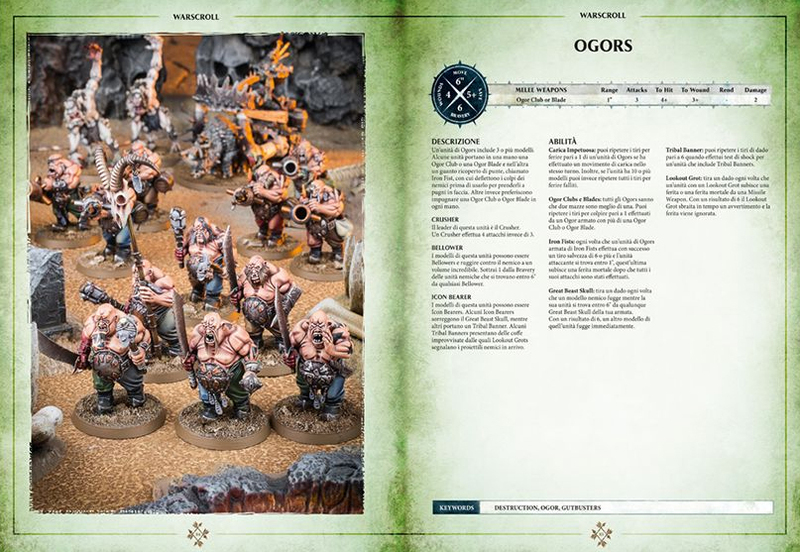 Finally we get the Ogors, who have been divided up into four different factions, the Gutbusters, Beastclaw Raiders, Firebellies, and Maneaters. The Gutbusters are the main chunk of what used to consist of the Ogre army. 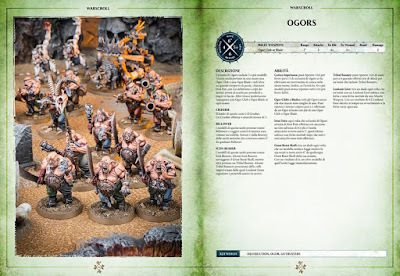 All of the different types of Ogor infantry are in their, including the regular guys, the Ironguts, and the Leadbelchers. The Tyrant and Butcher are also in here, with the butcher now having the option of being equipped like Skragg. Funnily enough the Gnoblars stayed around, but are just called Grots, but with the Gutbusters keyword. The Beastclaw Raiders has all of the ridden monsters, as well as the Hunter, Sabretusks, and Yhetees. I really like the feel of this faction as it's described that they exude cold around them. They have a definite pre-historic feel to them. The last two, the Firebellies and Maneaters, only have one warscroll a piece, so it will be interesting to see if they get expanded at all in the future. I feel like they could do a lot of cool stuff with the Firebelly faction. The most interesting, and I'm sure controversial, part of the Ogors for me is that they now all worship Gorkamorka. He takes on different aspects for the different factions, like a fire breathing one for the Firebellies and an all consuming one for the Gutbusters, but as far as I can tell the Great Maw is gone. It kind of makes sense since it was literally part of the planet in the Old World, which is now destroyed, but it still feels a little odd. I understand that they want to consolidate the gods down now, since they are now actual beings who intervene in the real world, and I'm sure personifying the Great Maw wouldn't be easy, but it feels like the Ogors have lost a little something. They still all use Maw iconology and all, but still odd. It will be very interesting to see how they are expanded more once they start getting their own Battletomes. Overall the book is good and an interesting read. Like I said earlier, I could have done with a bit more lore in the form of more example forces and at least one Battalion, but considering the price it's not a huge loss. The armies came through more or less intact, although splintered into smaller factions. 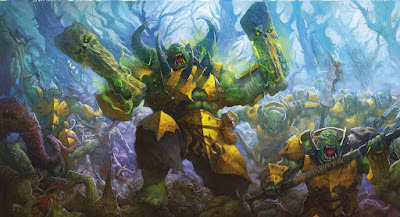 At the moment Gordrakk is the only hero with a command ability that can affect models outside of his faction, which is a huge deal and I'm sure we will be see a lot of him on the table. If you have any Destruction models, are interested in the factions, or just want to learn as much as you can about the Mortal Realms and AoS then I definitely recommend picking this book up. At the price it's at there's almost no reason not to. As we have seen with Death and the Flesh-Eater faction these books aren't permanent and the factions will get expanded more in the future, so if you feel like your faction is a little on the slim side, don't worry, I'm sure it will be expanded on at some point soon. 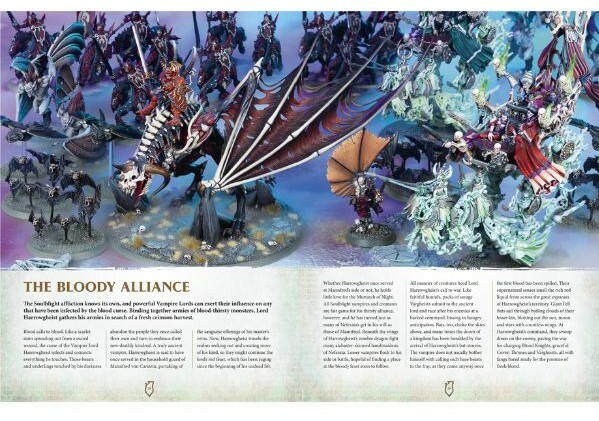 Which faction out of this book do you think will get its own Battletome first? Let me know in the comments below. Could use a bit more lore, and has no Battalions. It's a fantastic deal though, and well worth the read. Waaaagggghhhhhhh!